” The missing 98½-foot crab boat sent out an emergency locator-beacon signal around 6:15 a.m. Saturday, Coast Guard spokesman Lt. Brian Dykens said. The beacons are designed to be automatically activated when a vessel goes down, providing a location for searchers. 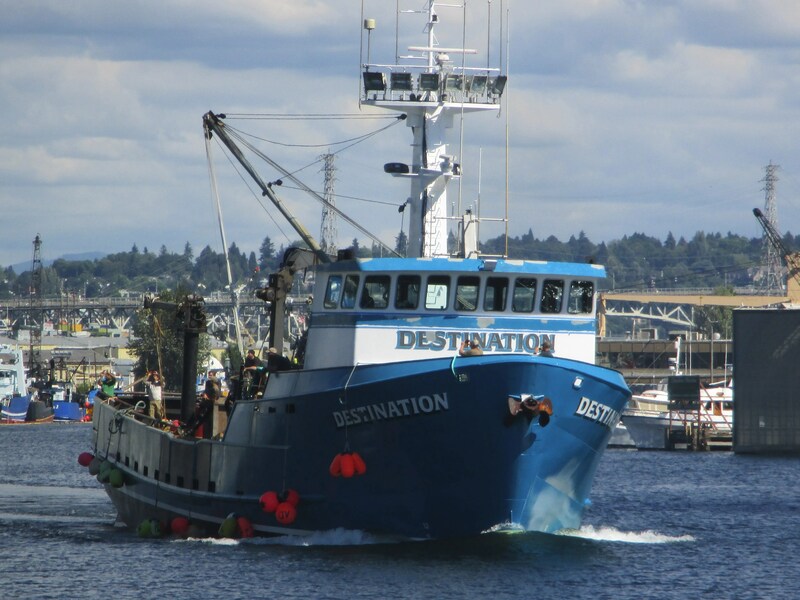 “the Destination is owned by David R. Wilson, a longtime crabber who lives in Washington state. Barcott said the vessel was used as a crabber and also as a tender for other summer fisheries. “Crab boats are most susceptible to capsizing when fully loaded with pots stacked on the deck. This is especially true in the winter months when icing conditions may occur, according to a 2010 safety review of the fleet submitted to the North Pacific Fishery Management Council by a then-Coast Guard officer involved in marine safety and a researcher for the National Institute for Occupational Safety and Health. December 18, 2013 ~ Petty Officer Third Class Travis Obendorf died in a Seattle hospital as a result of injuries sustained during search and rescue operations Nov. 11, 2013 while serving aboard Coast Guard Cutter Waesche. He was conducting small boat operations to assist the disabled F/V Alaska Mist. F/V Dixie ~ 1950 ~ Fred Wetche, Fred “Bubby” Wetche Jr.